For a vessel truly befitting a stately and grand occasion, look no further than the majestic Lady Rose. She is the perfect choice for larger functions such as weddings or school formals. This beautiful 78ft catamaran is built over three levels. 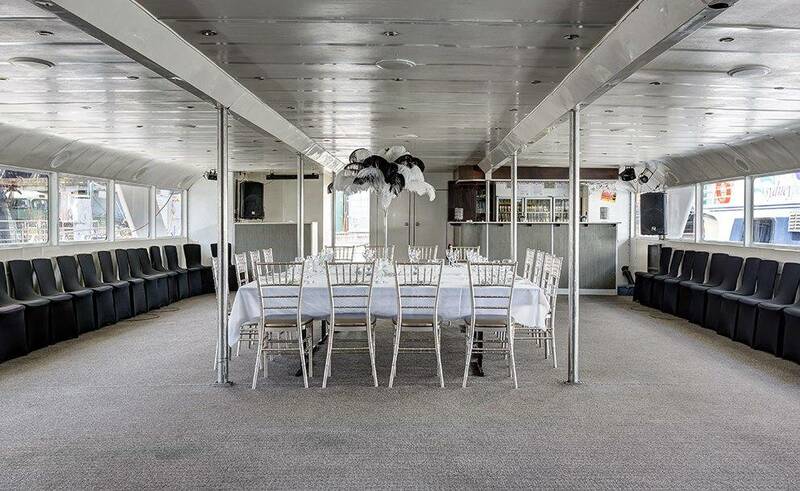 The stylish intermediate and lower decks can both be used for dining. If you wish, either can be re-configured into a dance floor. Both floors have a fully equipped licensed bar. Lady Rose’s crowning glory is the superb sky deck. This provides ample seating and affords an unbeatable all-round harbour aspect. Wide wrap around decks makes for effortless socializing. 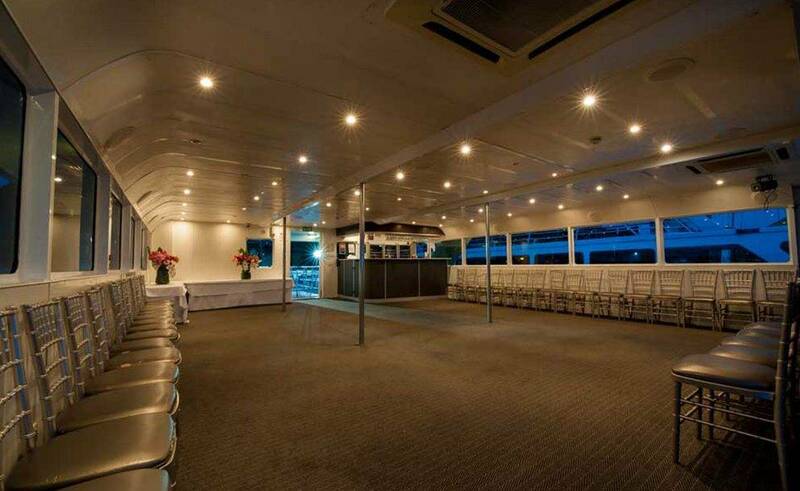 So, allowing guests to enjoy 360-degree panoramic views while mingling and strolling around the ship. 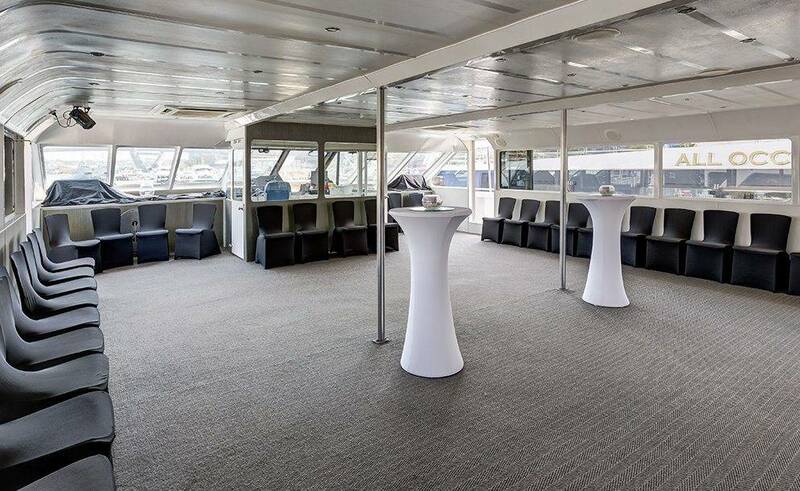 These decks also allow easy access to fresh air and natural light from the two lower levels of the boat, as well as the sky deck. Enjoy the sunshine during the day and after sunset, marvel at the impressive spectacle of Sydney by night. 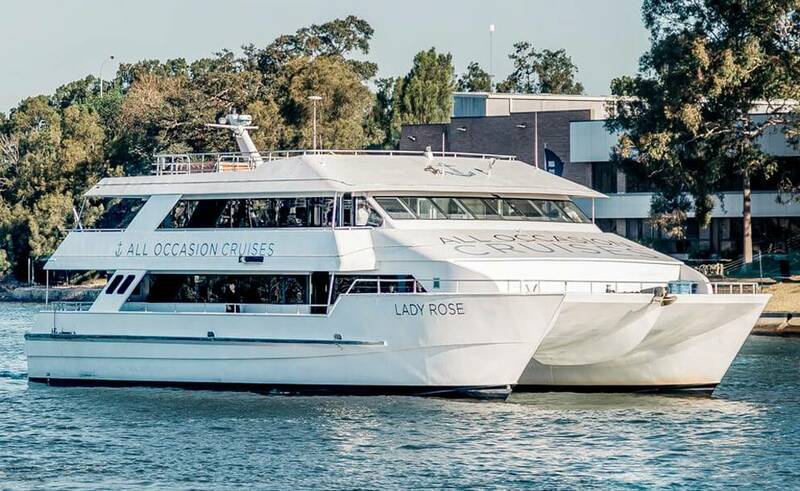 So, Lady Rose can comfortably hold up to 450 guests for a cocktail style function. It can also have 250 guests for seated dining. 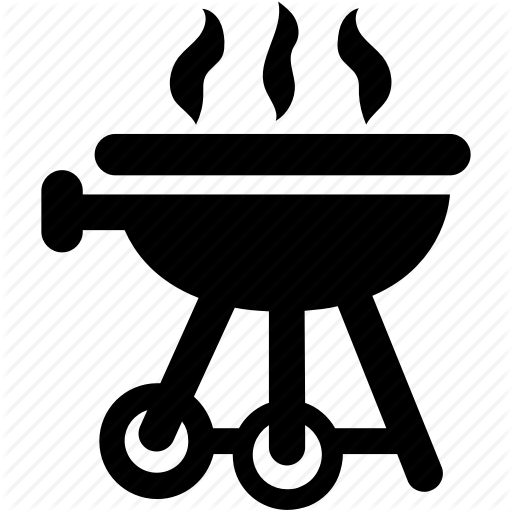 There are some premium food and beverage catering options. They can provide lots of different occasions. Also, she is just as practical and convenient as she is luxurious. 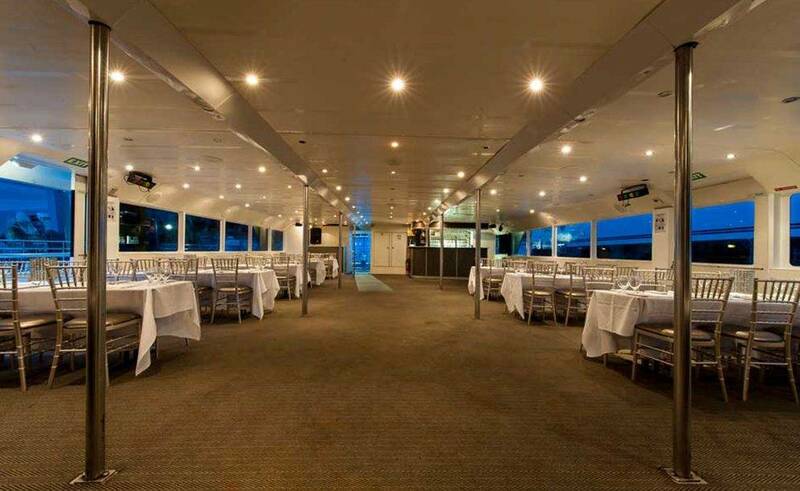 With full air conditioning on the two dining/dancing floors. The toilets including accessible facilities at all three levels. Her top of the range sound system includes iPod connectivity and PA facilities with microphones for speeches. The music and speeches can be played over all three levels or limited to one floor if necessary. 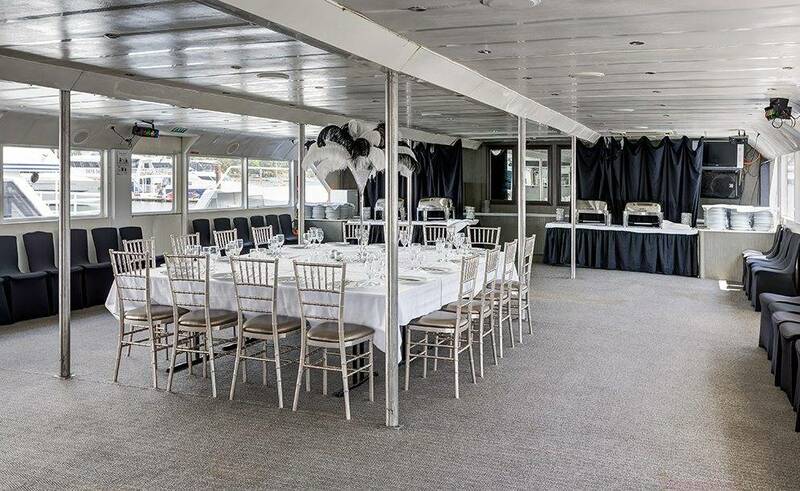 So, a well-known sight on the harbour scene, the lovely Lady Rose is deservedly becoming a byword for glamorous and memorable events. Choose her and you are well on the way to guaranteeing your party is a spectacular and unforgettable success.